Dream Ami’s next single puts the former E-girl and Dream member in the midst of more movie soundtracks. “NEXT” is the theme for “Next Robo”, and Netflix animation release. Intercut with footage from the animation of the girl and her robot, we get Ami in a studio apartment setting with a flat microphone in front of the lavender clad singer and a television playing … you guessed it “Next Robo”. 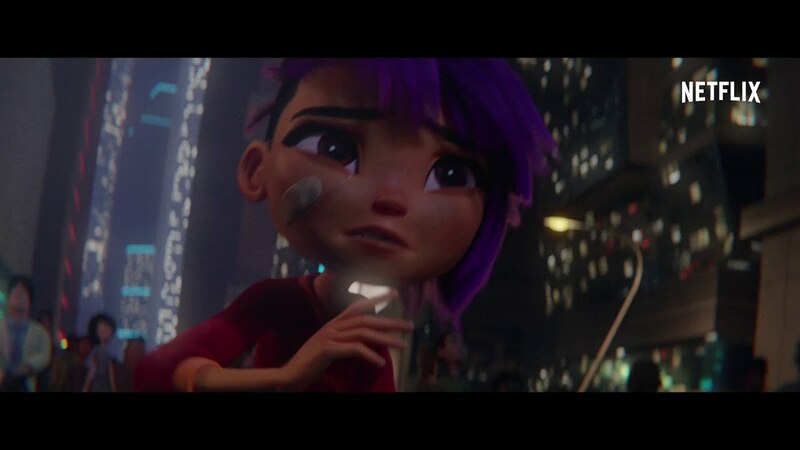 Ami takes a little bit of screen time to explore her space, but the majority of this promotional video focuses on the animation and the artist engaging in her craft. “NEXT” features an understated arrangement that pushes the acoustic guitars and clapping rhythm tracks down in the mix in favor of Ami’s vocals. The result is an emotional recall of fond memories that conflates the tone of the animation with your personal feels. “NEXT” is the coupling track from Dream Ami’s 7th single, “Wonderland”, in stores October 24, 2018.